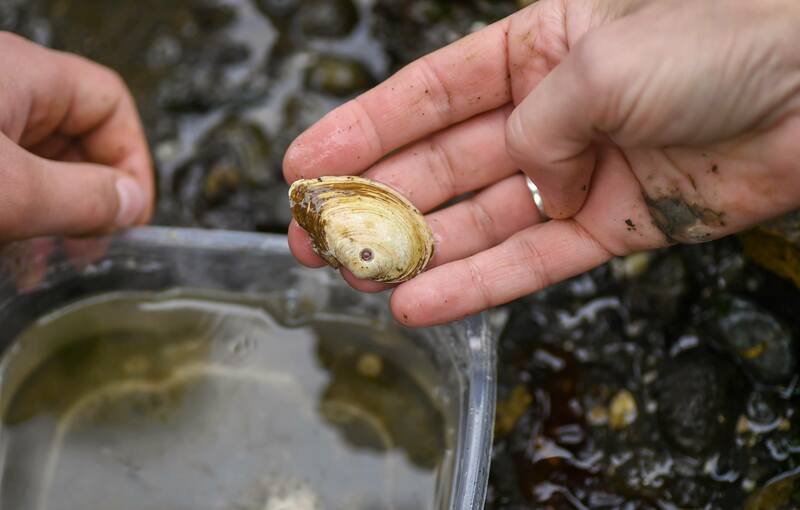 That’s the word used to describe the outcome of the 2018 Point Defiance Park BioBlitz, a 24-hour survey of living things observed in the 760-acre park. 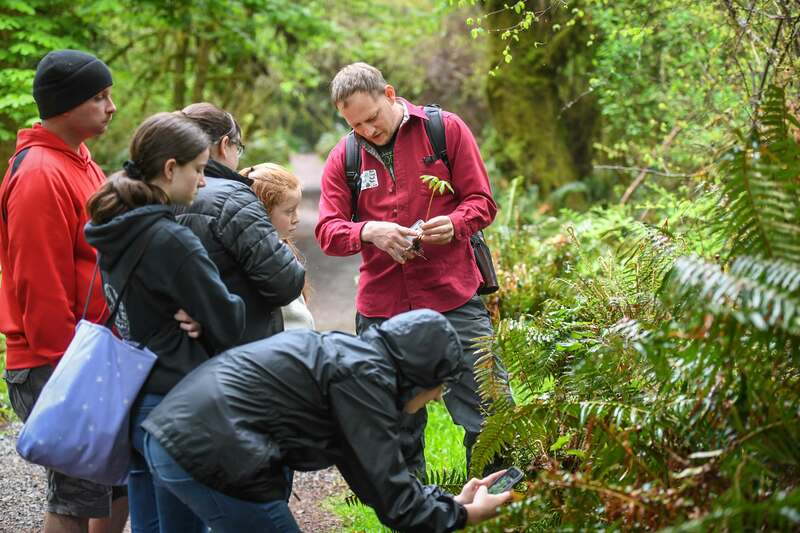 By sheer numbers, the BioBlitz more than met its purpose of forging connections between people and their natural surroundings, said Metro Parks Tacoma’s Craig Standridge. In his role as community engagement coordinator at Point Defiance Zoo & Aquarium, he oversaw the April 27-28 event, as well as the previous one in 2011. Trek horticulturalist Jake Pool guiding volunteers at the BioBlitz. The number of volunteer participants, 327, far exceeded his goal of 200 and was about double the 164 volunteers involved in 2011. “The BioBlitz was a fantastic event to support our mission of connecting people to nature” said Karen Povey, also a Metro Parks Zoo conservation engagement manager. “Laughter bubbled through the forest and delight was evident on the faces of curious kids and adults alike as they met salamanders and slugs and scanned the sky for birds and bats. “Such reactions are a wonderful testament to the value of experiences that immerse us in the natural world. 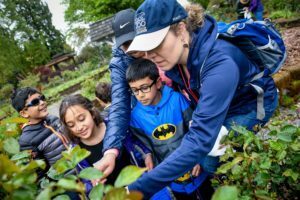 The more we can connect people to their natural neighborhoods by encouraging discovery and wonder, the more our community will be inspired to celebrate and protect nature,” she said. Zoo staff helping volunteers at the BioBlitz. The BioBlitz teamed up ordinary people with naturalists and experts who could interpret what folks saw, heard and recorded using a smart phone app called iNaturalist. Standridge said a goal was to take a snapshot inventory of life forms within the park. Over time, the record of periodic BioBlitz results will serve as a chronicle of the living landscape, helping park managers monitor changes over time. The number of different species observed this year, 462, was 26 percent greater than the 366 noted during the 2011 Bioblitz. Encounters included more than 50 species of spiders and three species of bats, Standridge said. That was not a surprise to Standridge, who is familiar with the park’s ecosystems, but he said it was an eye-opener to volunteers. Except for a few plants, all of the species observed during the April BioBlitz were consistent with what experts expected to find, Standridge said. Still, many of the naturalists and others who led teams of volunteer observers were impressed with the park’s biodiversity, describing it as a “green jewel sitting on the water” and an “oasis for species,” Standridge said. A clam noted on Owen Beach.